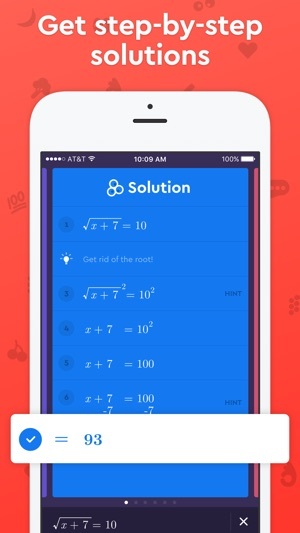 You’re about to download the fastest homework helper and math solver around (aka, your new best friend). 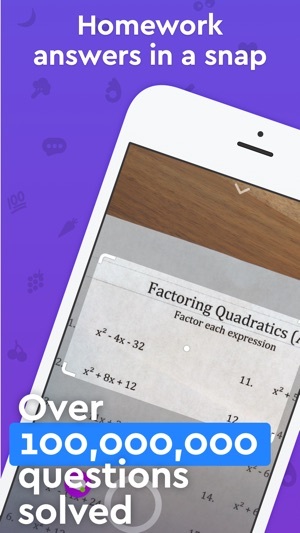 Take a PHOTO of your homework question or math equation and get INSTANT explanations, videos, and step-by-step help. And yup—it’s 100% free, NO in-app purchases. Take a picture of a homework problem and our AI (Artificial Intelligence) instantly figures out which concepts you need to learn in order to answer it! Socratic’s AI combines cutting-edge computer vision technologies, which read questions from images, with machine learning classifiers built using millions of sample homework questions, to accurately predict which concepts will help you solve your question. 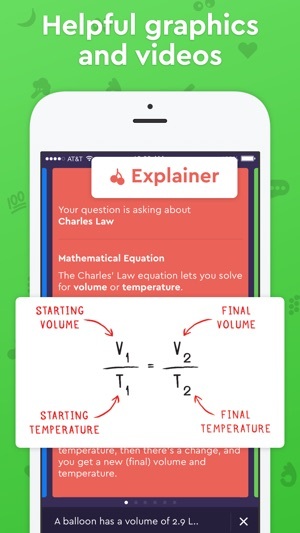 Socratic’s team of educators creates visual, jargon-free content. 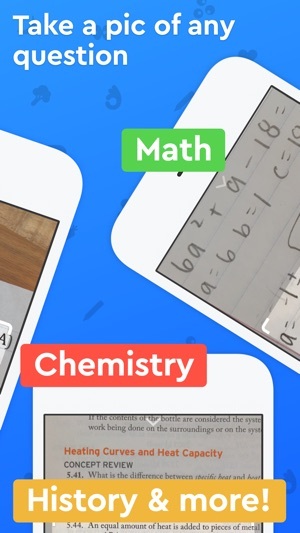 The best online videos are curated from sources like Khan Academy, Crash Course, and more. Whether doing HW for Biology, Algebra, US History, or Chemistry, Socratic can help you learn better and faster! Questions or support? Tweet us @SocraticOrg or email us at hello@socratic.org. Loving the app? Please (re)post a review. Every 5 star review helps us become a homework lifesaver to more people. Teensy tiny updates to make the app all-around better. Ta-da! No matter how much we use it, this app still feels like magic. Getting the answer to “Who built the Sphinx?” or “How does photosynthesis work?” is as easy as snapping a photo of the question, then watching Socratic’s mighty AI dig up helpful explanations and videos from a bunch of online sources. It’s quick, free, and awesome. Busy work, no more! Used it for the first time tonight - half asleep and I remembered I had an assignment due in a couple hours. The assignment was an adaptive quiz where you had to answer questions until you “leveled up”. I didn’t have to spend hours answering the same kinds of questions over and over and wasting time looking up answers in the book so it didn’t hurt my percentage. I scan the question, and while it is searching (only a few seconds), I would answer the question on my own. Submit if I guessed it right, and change it if I guessed wrong. Saves so much time because once you answer, the rationale is right there. Can’t believe I’m only not discovering this app... but I’m beyond thankful nonetheless. *EDIT: Obviously use the app wisely. Don’t substitute it for knowledge, and always verify your answers. 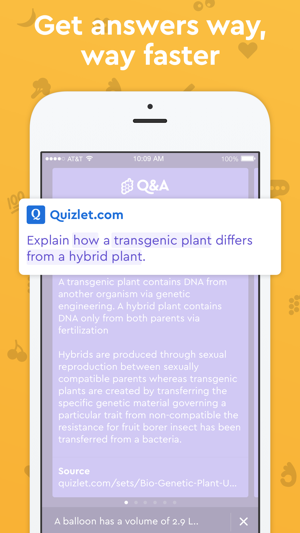 The answers are pulled from Quizlet and like sources, that are made by students just like us. But if I know some tiny tidbit isn’t going to be on my professor’s exam, it can be a little hard to justify reading six paragraphs on the topic to try to find my answer. And here comes in - Socratic! 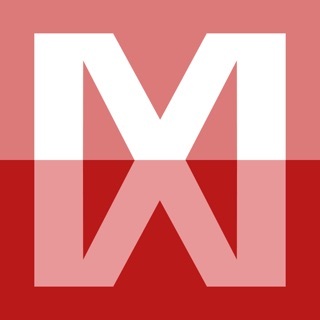 As an upperclassman in high school: take my word for this - this app is amazing! As an AP/honors students I sure know what it’s like to not do assignments (due to tiredness, laziness, or legitimate reasons) or copy from friends the period before the assignment is due. I also know what it’s like to be an active user of Quizlet whenever I need to look up some test or quiz answers for reviews/studying or for straight up cheating (lol). But what we all know is that searching up each individual question on google and then having to go through several Quizlets to find the correct answers for each and every one can be quite time consuming and tedious. However, with this wonderful app it finds all the Quizlets for you in an instant by just taking a picture of the question! Even if Socratic can’t find an answer, it provides the user with at least a legitimate, scholarly definition of the subject matter of your question! In short, Socratic is a amazing and l totally recommend it to any type of student! Honestly, Socratic came through and helped me passed my finals this semester!